Managing online presence is an important process of presenting and drawing traffic to a personal or professional brand in the virtual world. This practice is a combination of web design and development, blogging, search engine optimization, pay per click marketing, reputation management, directory listings, social media, link sharing, and other avenues to create a long-term positive presence for a person, organization, or product in search engines and on the internet in general. In today’s times websites are inevitable for any business because they are an important advertisement tool. Moreover, any organization worth its name would not be taken seriously if it is has no website. We fit into the scheme of things when it comes to maintaining and nurturing your portal through pragmatic as well as agile content management. Building links which exhibit consistency throughout your web presence is also our area of expertise. Our online presence management strategy consists of an all-encompassing social media activities as well as analytics which makes it easy to control, track and quantify your online progress. Once we become your online presence partner, no aspect of your online marketing campaign would go unnoticed. Through website development, we provide you content which is up to date and would engage the visitors. Our content management system can be scaled and made adaptable to the ever changing needs of your business. We also provide our clients with superior content writing and the technical skills to make your online presence visible to your target audience. We keep our clients informed about their website’s progress as well as any necessary adjustments to our ongoing web marketing strategy. 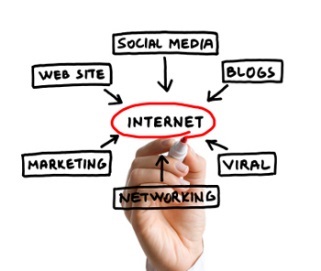 Online presence is what enhances you creditability and visibility to your potential customers. We provide services ranging from website development to online marketing of your services to provide you with the best opportunities.